Qualcomm’s Snapdragon SoCs — or mobile platforms, as the company calls them — are the most common chips in the Android smartphone space. Samsung uses Snapdragon for its Galaxy line in the U.S., as do devices from LG, HTC, Sony, OnePlus, and pretty much everyone else. Chances are good that you’re reading this on a device using a Qualcomm processor right now. 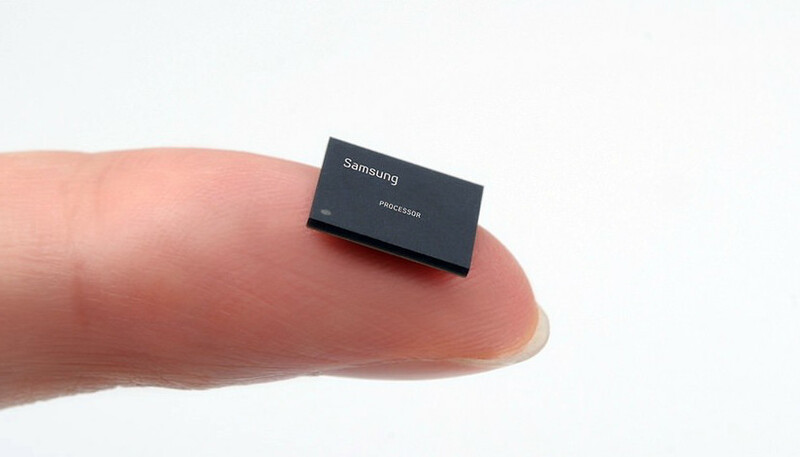 Snapdragon chips aren’t just found in expensive flagship smartphones. There’s a whole portfolio of products built for handsets at various price points. Performance and features differ a fair bit between these models, so let’s break down how the company’s latest SoCs compare. When it comes to the high-end of the market, the Snapdragon 855 is Qualcomm’s latest and most powerful smartphone chipset. It has a tri-cluster semi-custom CPU arrangement, featuring one powerful 2.84Ghz Cortex-A76 core, three less powerful but still beefy 2.42Ghz Cortex-A76 cores, and four power-sipping Cortex-A55 cores. Qualcomm’s Adreno graphics hardware also leads the industry and the 855’s Adreno 640 continues this trend. The 800 series is Qualcomm’s flagship tier and, up until the Snapdragon 855, used big.LITTLE CPU designs — a cluster of powerful cores and a cluster of power-saving cores. The company used to heavily customize its Kryo CPU cores a few years ago inside the Snapdragon 821, but this has been scaled back to tweaking and optimizing off-the-shelf Arm Cortex cores in the last couple of generations. Instead, proprietary silicon efforts have focused on the company’s integrated GPUs, signal processors, cellular modems, and other bits of silicon. These top-tier SoCs also include the latest features like Qualcomm’s Quick Charge 4 and Quick Charge 4+, Bluetooth 5, and support for TrueWireless headphones. Qualcomm’s 800 series also showcases the best of the company’s machine learning capabilities. Qualcomm utilizes its Hexagon digital signal processor (DSP) to run neural networks, as well as accelerating various other mathematically heavy algorithms, like encoding its aptX Bluetooth codec. The latest 855 chipset offers more vector units for machine learning tasks, as well as a dedicated “Tensor Accelerator” to boost performance in this regard. The company claims the new chipset’s machine learning upgrades make it up to 2x better than Huawei’s Kirin 980 flagship chip, but this claim depends on the use-case. Comparable chips to the Snapdragon 855 from Qualcomm’s competitors include Samsung’s Exynos 9820 and the aforementioned Kirin 980. It’s also worth noting that all three of these top-end chips now use a tri-cluster CPU design, which theoretically allows for more efficient performance. Simply put, tasks that are overkill for the big cores but require more performance than the little cores can now call on medium cores. Qualcomm’s mid-tier mobile platforms are a little trickier to get your head around, partly due to the sheer number of products that have accumulated over the years and also because of the introduction of the Snapdragon 700 series, which doesn’t fit into the usual 600-series moniker. 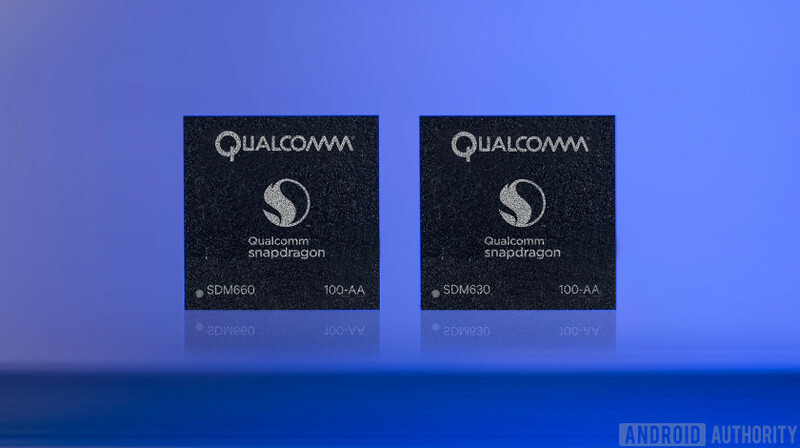 The Snapdragon 712, Snapdragon 710, and Snapdragon 670 closely resemble one another, and in turn, share a surprising number of features with Qualcomm’s high-end Snapdragons, including identical Quick Charge and Bluetooth capabilities. The 2x Cortex-A75 and 6x Cortex-A55 DynamIQ CPU design is clearly different from the 800 series, offering comparable single thread performance but weaker results in rarer instances where multiple high-performance cores would be required. The recent Snapdragon 675 bucks the trend by offering two Cortex-A76 cores in place of the 712, 710 and 670’s Cortex-A75 CPU cores. The new big cores offer a notable performance boost over the old ones, but we’ve still got six Cortex-A55 cores for less demanding tasks. Otherwise, it offers the same Quick Charge and Bluetooth capabilities. The 712, 710, 675, and 670 boast 600-series Adreno GPUs that are strong gaming performers, but are well behind the Snapdragon 855 (although the 675’s GPU looks like the weakest of the lot). It’s the same situation when looking at the modem configuration too. Although the fast LTE speeds will still provide a decent connection when hovering near the cell edge or in areas of questionable quality. It’s not all downgrades compared to the 800 series. The Snapdragon 712, 710, 675 and 670 all support fast Hexagon DSPs for enhanced machine learning capabilities. They also feature the latest Quick Charge 4+ and Bluetooth 5.0 standards and are built on a highly efficient 10nm FinFET process (or 11nm in the case of the 675). Qualcomm’s 712, 710, 675, and 670 chips clearly offer a good chunk of the company’s best features at just a slightly lower price and performance point. They’re definitely solid SoCs. Meanwhile, 2017’s Snapdragon 660 can still be found in some mid-range phones (e.g. Redmi Note 7), and offers high multi-core performance capabilities due to its 4+4 CPU design. But the 2+6 design is arguably better for real world use cases (where one high performance core is enough) and battery life. The Snapdragon 660’s older CPU cores and larger design means the time is right for Qualcomm to issue an update, but it’s still a capable processor. Other older yet popular chips in the Snapdragon 600 series include the Snapdragon 630 and 625. These chips used the previously popular octa-core Cortex-A53 CPU clusters and lower end Adreno 509 and 506. The CPUs and GPUs are thus far less capable than the latest Snapdragon 600 series chips and the Snapdragon 660. On the plus side, the 630 still boasts the same powerful X12 LTE modems, Hexagon DSP support, and Bluetooth 5. The 625 drops this down to a slower X9 LTE modem and Bluetooth 4.2 support. The past year has seen Qualcomm delivering major improvements to lower mid-range and low-end chips in general. By far the biggest improvement has been the migration away from ageing octa-core A53 CPUs towards big.LITTLE combinations that offer superior single thread performance. This is important for quickly launching applications, multi-tasking, and running more demanding games. Much like the Snapdragon 710 and higher end 600 series models, the latest mid-tier Snapdragon 636 and 632 offer plenty of CPU performance via their big.LITTLE designs. However, the graphics department is more notably cut down at this end of the portfolio, with lower end Adreno 500-series chips in place. The Snapdragon 636 continues to offer powerful DSP and fast modem capabilities, while also providing the benefits of Quick Charge 4.0. The Snapdragon 632 keeps up in the CPU department, but scales back further with cheaper and slower LPDDR3 RAM slots in tow, an older X9 LTE modem, and Quick Charge 3.0 support. This technology is at least a couple years behind current flagship chips and as a result, the Snapdragon 632 straddles the line between the mid-tier and the truly budget range of Snapdragon 400 processors. The Snapdragon 450 and 439 are the latest chips in Qualcomm’s budget category, offering octa-core Cortex-A53 designs. Both offer lower levels of CPU, GPU, and modem performance to keep them cost effective. But they also offer relatively power-efficient designs, being manufactured on a 14nm and 12nm process respectively. An older but popular chip in this series is the Snapdragon 425. It features a Cortex-A53 quad-core design, slower X4 LTE modem, lower display resolutions capped at just 720p, and just single camera support. The 400 series is thus the last bastion of the sluggish octa-core Cortex-A53 CPUs in Qualcomm designs. For a barebones smartphone experience, this tier is good enough. They aren’t recommended for power users, those who like to game on the go, or those after the latest fast charging or Bluetooth technologies. That’s all for our Qualcomm Snapdragon SoC guide! Let us know your thoughts on the silicon giant’s portfolio in the comments.